With an eye to the future and a steadfast commitment to the founding principles of the Amway business, Executive Diamond Juanita Maldonado and her husband Antonio of Austin, Texas are grateful for being introduced to this Business Opportunity over 20 years ago. Juanita credits their success and the success of many IBOs in her group to being able to dream, yet also pay the price to achieve those dreams. 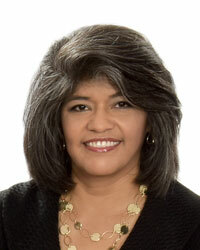 Honored by the Board nomination, Juanita expresses, "If elected, I would work for the benefit of all IBOs and continue to listen and learn from my peers. I would treat this position as if the Founding Fathers (Rich DeVos and Jay Van Andel) were looking over my shoulder. I will work hard on the Board to make this the best Business Opportunity on earth."